ObjectivePGP comes with the prebuild Static Frameworks for the latest release. 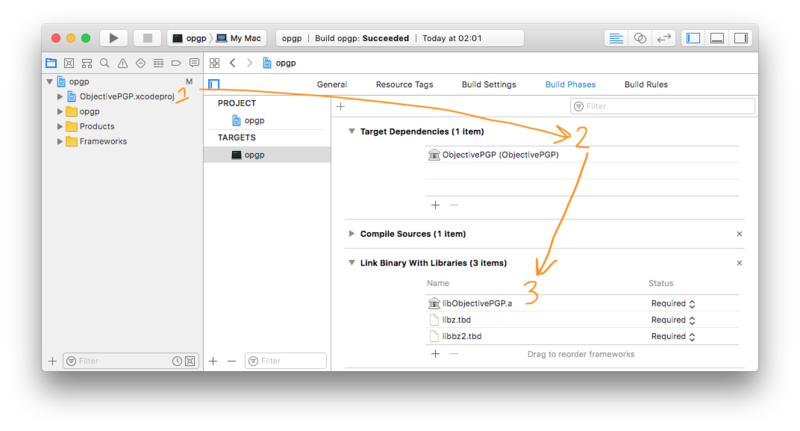 Add ObjectivePGP.xcodeproj to the project. Add ObjectivePGP to "Target Dependencies" list for the target. Add libObjectivePGP.a to "Link Binary With Libraries" list for the target.